I have a deep love for riding bikes and own three of them. Each bike has it's own separate purpose. Road bike, mountain bike, and commuter bike. I LOVE to ride my commuter bike to work, as it's an old three speed Schwinn with sweet little basket in the front. It's heavy with spots of rust, and it only cost me $60! Best $60 I every spent in my life. I try to ride my bike to work year round, as the ride gives me time to make the transition into/out of work mode. I especially like riding my bike home from work in the winters when it's chilly, dark and quiet. The city goes into a winter slumber when the sun disappears early. I pedal slowly to savor the fresh air, and the chill upon my nose. These posters were designed to reflect my liking for riding my bikes. So far I have designed one for Colorado (home state) and Missouri (current resident). I plan to add a California state as I lived there for 15 years. 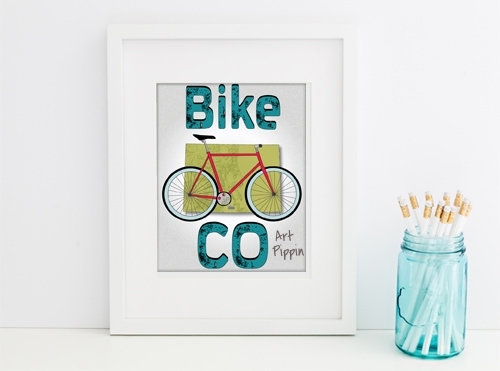 The bike posters are available in download digital jpeg format via my etsy shop. They will fit 8x10 frame and will brighten up any room in our house. Digital downloads print of my original artwork is available now via my Etsy shop. All prints are high resolution JPEG formate, and will fit a 8"x10". 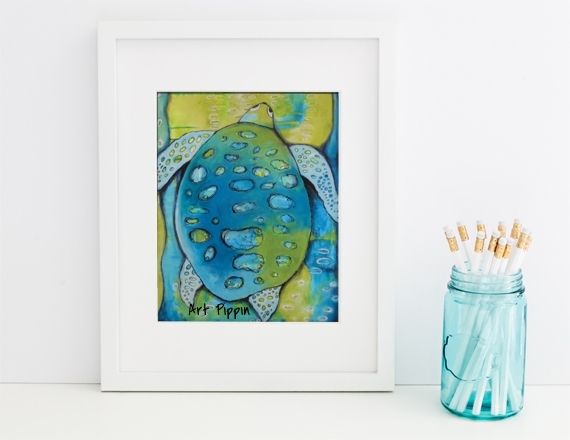 These prints are only $5.00, and will make a great Mother's Day gift! Show your mom how much you love her with one of these happy and pretty prints!